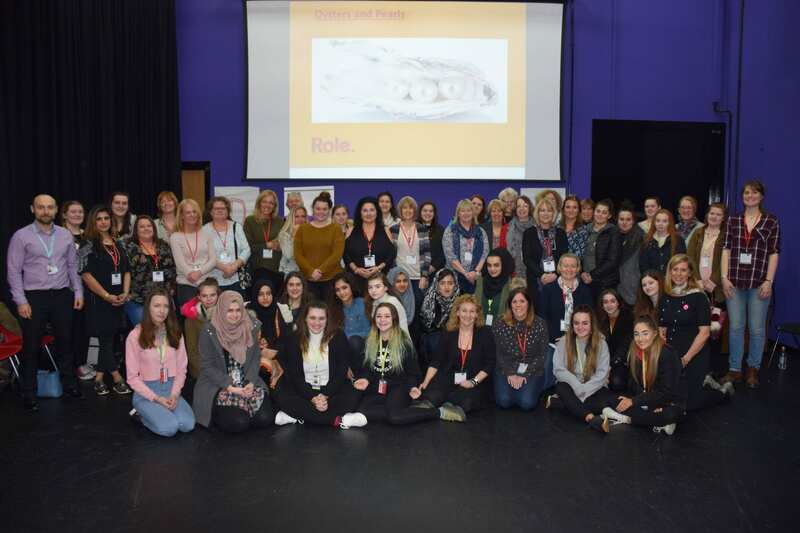 Sixty female students at Nelson and Colne College experienced a successful day of motivation, mentoring and discussion with 30 Lancashire business women. Other key sessions on the day included one delivered by life coach Katy Mason who enabled students and business women to understand their character and how to build on this to progress. Level 2 Art and Design student Arielle Methven, 17, said: “I really enjoyed the day – it was both fun and interesting. I have definitely benefited from it, including taking on board the things I’ll need for a job interview. Katy Mason, who regularly supports Wendy Bowers, Founder of Role, with Oysters and Pearls events said: “My job in life is to find the strengths and talents in people so that they can have more successful careers and lives. “This year, we also spent half a day with the girls prior to them meeting the business women in a workshop entitled ‘Here I Am’. The girls learned about self-belief and perception of others and were advised how to get the most out of the mentoring day. Vice Principal of Nelson and Colne College Alison Rushton said: “I’m delighted that 60 young women have benefited from a truly inspiring and motivating session and I’m grateful for the time taken by business women from across Lancashire to support this event and make a difference to the lives of our students. Nelson and Colne College will hold a Year 9 and 10 Open Event on Monday 30 April from 5.30pm until 7.30pm. Students will have the opportunity to gain advice and course information from tutors, find out about the college’s extensive and constantly-evolving extracurricular offer, ask about unique Pre-Professional Programmes and get involved with ‘have a go’ activities and skills demonstrations.